Here are just a few of the hot shows happening in the near future. As always, check out our full music listings here. Ready to experience some awesomely strange, experimental violin music tonight? It’s time to expand your horizons and head over to the Marielle V. Jakobsons show at the Eastern Washington University Music Department Recital Hall. The show is 7:30 pm and is $3 for students (EWU get in free) and seniors and $5 for everyone else. 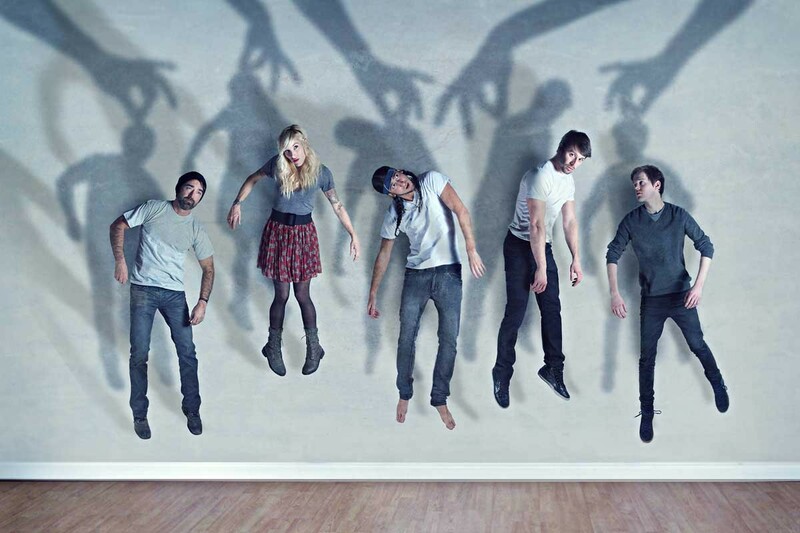 As if Gotye’s “Somebody That I Used to Know” wasn’t popular enough in 2012, the Canadian act Walk Off the Earth put their own creative spin on it, releasing a low-budget video with five people playing one guitar. Their cover, which has received more than 156 million hits on YouTube, catapulted them from obscurity. The pop-rock band has gone on to cover many Top 40 favorites accompanied by innovative videos. Last year they released R.E.V.O., an LP of mostly originals that featured the minor hit “Red Hands.” Sunday, they come to Knitting Factory along with Parachute. The show starts at 8 pm with tickets costing $19.50. Yes, this column should focus on the weekend but I’m going to take you into next week as well. Deal with it. Next week, Saul comes to Spokane all the way from Iowa. Made up of the brothers Bedsaul and Adam Chilton, the heavy metal three-piece has been alt-thrashing through the Midwest since 2010. They hit the Hop! next Wednesday along with Progenitus, Innuendo and Move the Earth at 7:30 pm. Cost is $7. Listen to Down North’s “Heartbreaker” and try to resist the urge to wiggle your feet, flip your hair and scream/sing “whoo!” along with vocalist Anthony Briscoe. You can’t do it. This Seattle four-piece plays a sort of funky rock that gets into your brain and gets you moving. The music harkens back to the groove of the ’70s, and you might catch a pinch of James Brown in their sound. Rolling through Spokane next Wednesday at Mootsy’s, their show will be nothing but one big, funky dance party. Other bands featured will be Wax N Drums and the Tone Collaborative. Cost is $5 at 9 pm.